The Fashion Guide Blog : Why black if you can have plum? In the old days the all black look used to be worn by widows as a sign of mourning. Nowadays it's a fashion statement. Wearing black will always be fashionable. But why limit yourself to that colour? Black can be boring and repetitive so why be boring when you could stand out in the crowd? 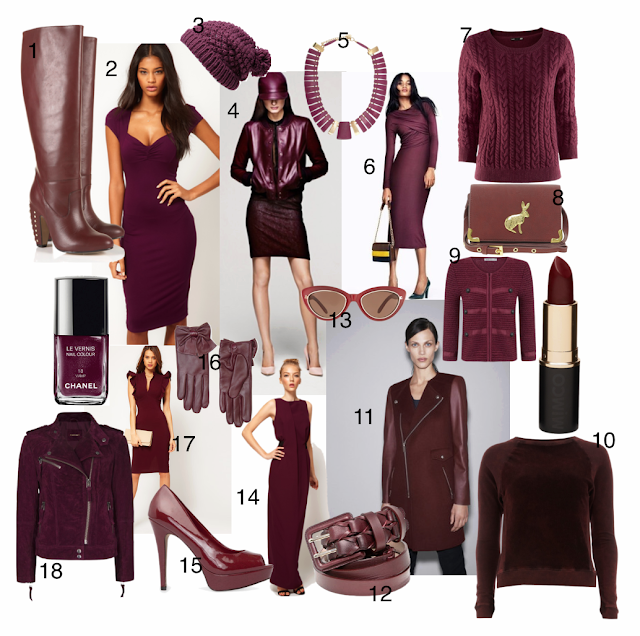 There are other ways to look great and one of them is plum. Plum is a sotisticated colour. It's perfect to be worn from day to night as a total look or combined with black, grey, purple or camel. 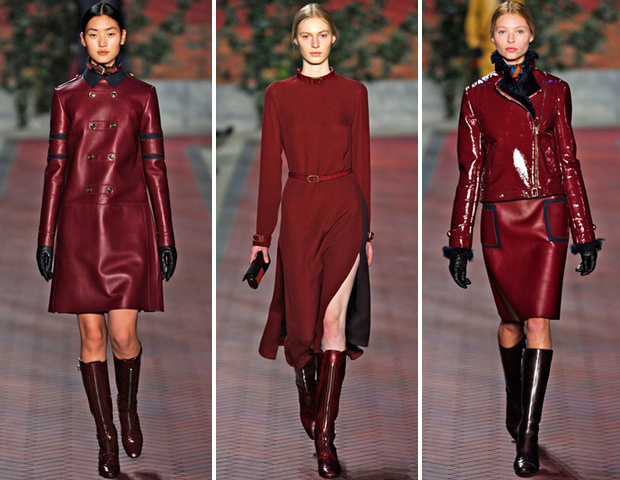 We have seen it on the runways and Massimo Dutti has used this trend as an inspiration for its latest look book. 1. Boots, Topshop 2. Dress, Asos. 3. Knitted beanie, Zara. 4. Total look, H&M. 5. Necklace, Parfois. 6. Total look, H&M. 7. Jumper, H&M. 8. Bag, Asos. 9. Jacket, Mango. 10, Sweat t-shirt, Topshop. 11. Coat, Zara. 12. Belt, Uterque. 13. Sunglasses, Asos. 14. Dress, Asos. 15. Peep-toe pumps, Mango. 16. Gloves, Mango. 17. Dress, Asos. 18. Suede biker jacket, Mango.